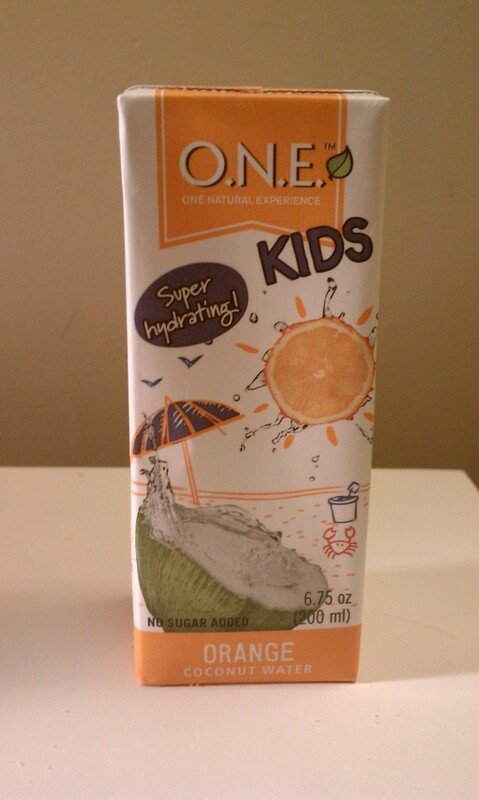 O.N.E recently sent me a couple of packages of their new Kids coconut water line. Coconut water has recently been booming in the markets as a refreshing beverage and a healthier alternative to the sports drink. This 6.75 oz package has 60 calories, 220 mg of potassium, 80 mg sodium, 13 g sugar, 14 g carbohydrates, 100% vitamin c, 1% calcium, and 3% magnesium. Coconut water is a isotonic beverage which means the electrolyte balance inside the drink is the same as our blood in our body making it very easy to absorb all its goodness. Boy it has been a long time since I have had a juice box. Probably not since middle school where I used to take the Slimer Hi-C juice boxes frozen in my lunch daily. Orange is a very kid friendly mixer for coconut water. The flavor of the drink is kind of like when I made my own sports drink with orange juice, water, salt, and sugar in college. The difference is that there is a multitude of other juices confusing my palate. In this one juice box there is: apple, pear, lime, and orange. Orange being the last juice listed, which was a little disappointing. It is not overly insanely sweet and even had a touch of sourness which was nice to me. This a pretty decent beverage and something I would even chug a few of this after a workout. Not a bad start for my O.N.E Kids tastings.